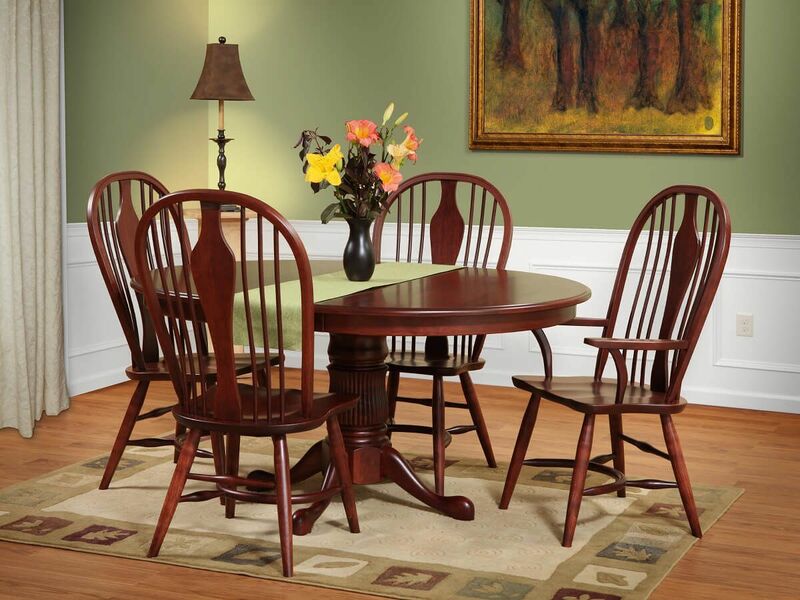 Beautifully crafted by our Amish artisans, the Magnussen Round Pedestal Table combines durable mortise and tenon joinery with hardwood construction. One elaborate pedestal and a hand-rubbed finish can establish the perfect base upon which to build your own Magnussen Queen Anne Table. Optional central leaves install along geared expansion slides and afford extra seating space. 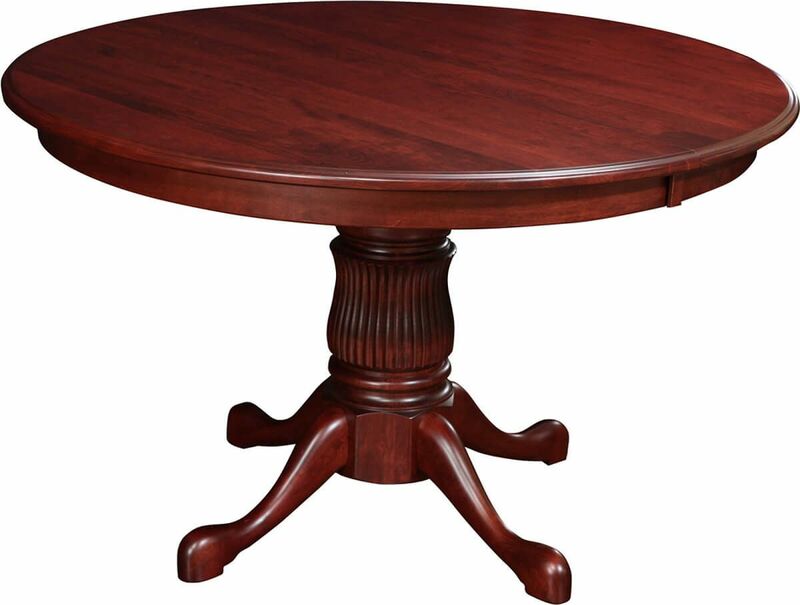 Your Magnussen Round Pedestal Table has four edge profiles available to define the look of the one inch thick table top. All four feet of your Magnussen Single Pedestal Table come equipped with adjustable levelers to ensure a pristine dining surface. With a generous floor to apron clearance of 26 1/4", your Magnussen will accommodate both arm and side chairs at your discretion. Select your hand-chosen hardwood and hand-rubbed stained, and we will hand sand your wooden Magnussen Pedestal Table and top it with a catalyzed wear-resistant varnish. Add this Queen Anne table to your online shopping cart today.